Working with horses is what I set out to do its amaizing where life takes us. I can’t tell you how much I love what I do. Changing lives while helping horses. We felt so lost and betrayed with the core of our souls ripped by our duty to our Country, and yet amongst that common trauma we joined in unison in the lush grounds of Cedars in Kangaroo Valley NSW. Whether man or woman, Thoroughbred or Shire, our past traumas dissipated the moment our two hearts beat as one. What a glorious 5 days we spent in the valley with our trainer Scott Brodie (NSW Thoroughbred Rehabilitation Trust). Our group was small and yet just perfect in balance with two former Army personnel, two Air Force and two Navy; three women and three men. Most have found themselves homeless after being medically discharged from their Service with Post Traumatic Stress Disorder and it was here that Homes for Heroes through RSL Lifecare could give them a home and opportunities to re-enter civilian life. 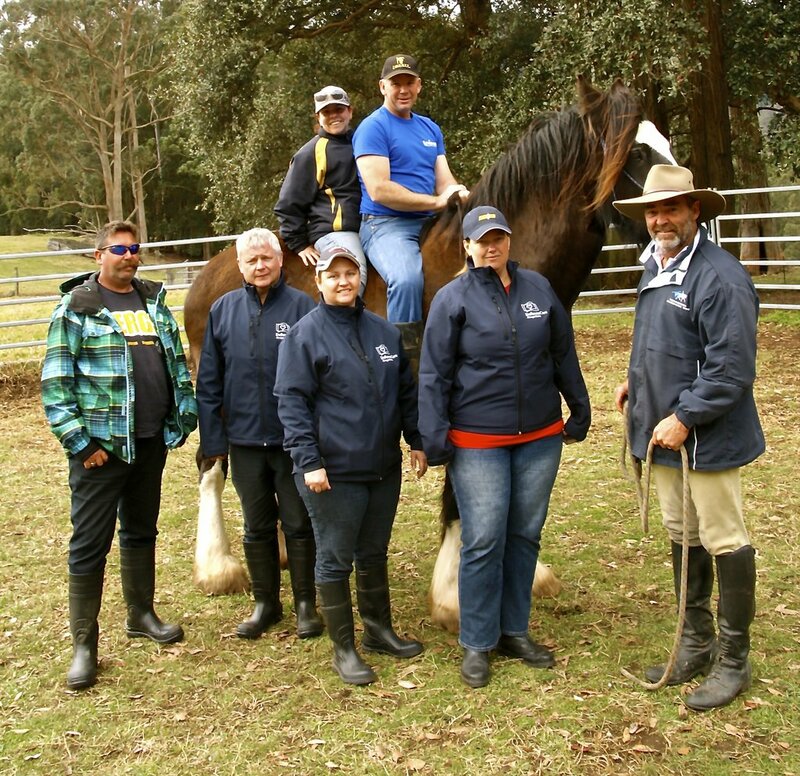 Along with Defence Care, Homes for Heroes was able to offer us engagement with the second Cedars Equine Program for Veterans to improve communication skills and boost our confidence. The first thing we learned was that being with a horse is not about riding it; in fact, riding a horse is like riding a motorbike without having a lesson. One does not learn the subtleties of applying pressure and leading the horse towards our slightest inclinations along a horse trail! Instead, training and leading on the ground with two former race horses, that has been traumatised from their own experiences, caused us to recognise our strengths and weaknesses moving beyond our limitations. The steps we learned drew us in to see that we could speak a new language, draw the horse in and engage him into our understanding. The horses listened intently with their eyes and ears to our movement, our emotions and our tones. Scott Brodie states “Horses exhibit and survive by instincts which for 50 million years have served them well. There is ample opportunity for humans, when placed in a position where they have to communicate with these majestic, and on the surface completely different beings to get in touch with their primitive, but incredibly similar and influential instinctive responses.” Our natural tendencies to survive trauma are still within us. Until this week, our anxious minds and traumatised souls seemed to rule the day. Then we met with a horse. We dropped our shoulders. We steadied and opened our body. We calmed our being. The past withered away, future losses vanished, the present moment encapsulated within confidence and empathy creating mutual respect. Then, in the midst of that arena, an incredible connection happened: a dual heartbeat joined as one. 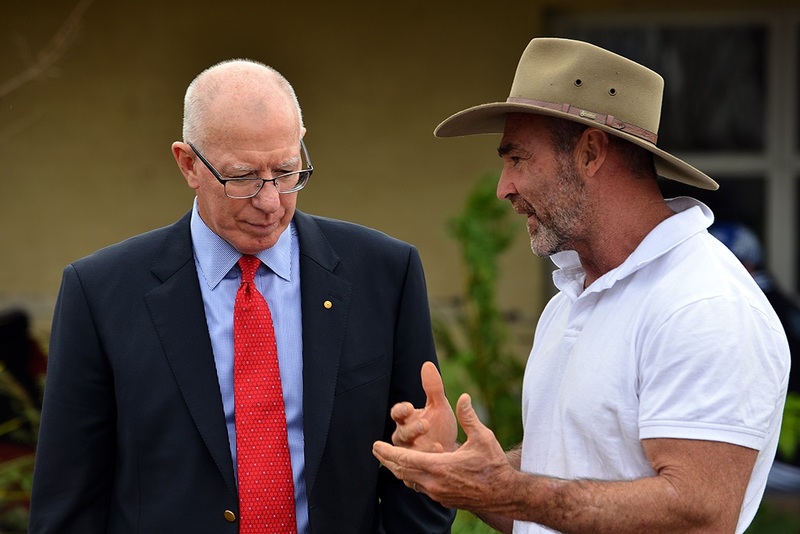 Recently NSW Governor, General David Hurley and his wife made a visit to inspect the incredible work of Cana farm a new partner of the racing NSW Thoroughbred rehabilitation trust. Cana farm looks after the well being of vulnerable members of the community, generally those who have been disassociated from Main Stream society for various reasons and need assistance to find their way back. The thoroughbred retraining program led by Scott Brodie is using the facility as a spelling location for horses going through the retraining process. The clients of Cana have built kilometres of quality fencing on the 40 hectare property at no cost to the retaining program in order to house the spelling horses. On the property, formerly an orchard, Cana are now levelling land to create a riding area and round yard where some of the clients will be taught to work with horses, some will also volunteer at the state of the art Canterbury head quarters of the thoroughbred re training program. These client once educated and experienced may go on to work in the racing industry. 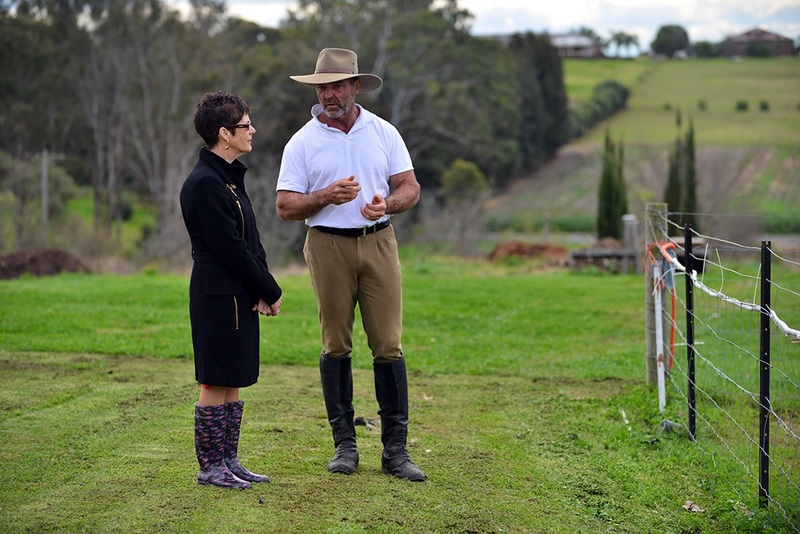 The Governor and his wife were particularly interested in the racing NSW initiative and paid tribute to the passion of the both the personnel from the thoroughbred rehabilitation trust and the clients and staff of Cana farm. The Governor shared lunch with all and sundry much of the produce for the meal produced on the farm. Also of particular interest to his excellency was the work of TRT manager Scott Brodie, with ex service personnel suffering from post traumatic stress disorder. Many of these ex service people are homeless and in need of urgent assistance. Brodie has linked with defence care and homes for heroes to take veterans to kangaroo valley to work with horses in order to aid their recovery and give them renewed focus, many will also go on to become volunteers with the TRT at Canterbury racecourse with a focus of eventually finding work in the racing industry. 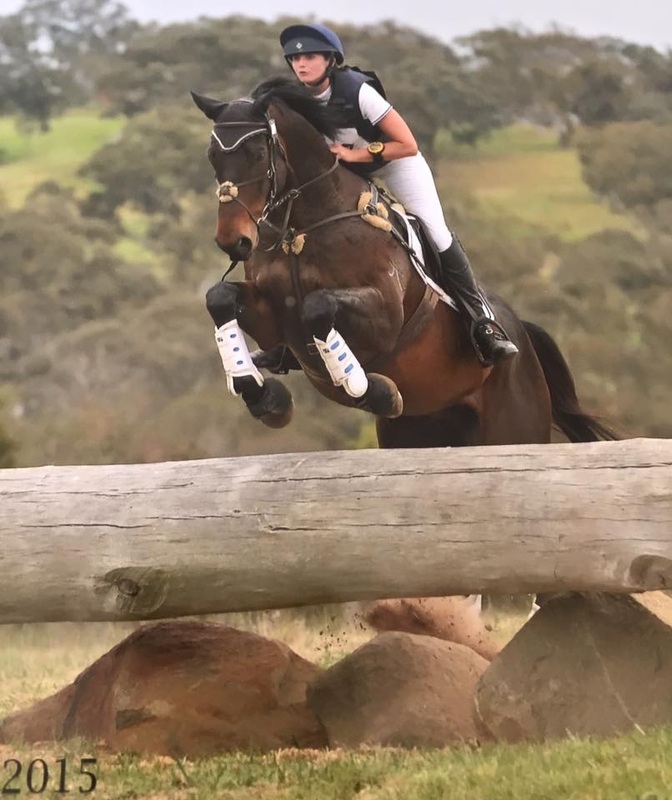 The parallels between racehorses and service people needing help at the end of highly specialised careers was not lost on mrs Hurley who showed particular interest in this personnel initiative of TRP manager Scott Brodie. 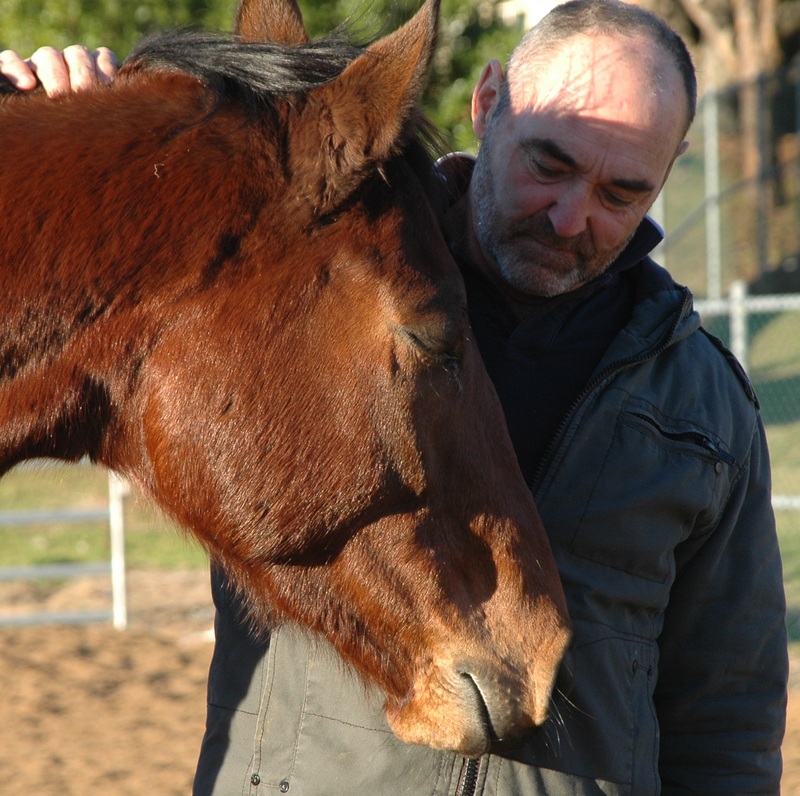 Equine assisted learning and therapy is being used around the world to assist people with PTSD “The cedars equine experience” is now up and running to give this opportunity to learn from horses to as many veterans as possible. The thoroughbred rehabilitation program continues to re train and re home ex racehorses but the far reaching effects of horses on people seem boundless. It definitely more than just horses. I’ve been a professional horse person for around 30 years now, Ive seen hundreds of horses turn from difficult prospects into enjoyable safe riding partners but Ive never seen it happen with the use of a magic wand. It’s incredible how many new horse owners think they are purchasing an off the shelf, perfectly behaved, 100% guaranteed, fool proof product, the ideal winged unicorn all the rough edges smoothed with the use of that incredible magic wand. I re home nearly a hundred horses a year, I encourage new owners to come and ride as many times as they possibly can before taking their new partner home. It’s a bit like dating, often people are infatuated at first sight, but you need to look closer, I like to see them have a couple of quite dates in a safe riding environment to get to know each other, spend some time with me, get to know the family, how did the horse become the person he is today, be involved with the training, learn what buttons do what .Take into account this horses personnel accent and idiosyncrasies, have as many dates as you can before taking the big step and moving in together. You could just speed date, meet him put him on the float and take him home, you could internet date and believe the profile information on the screen. The long slow get to know you approach is the best but still it’s far from fool proof. Once we get home our little irritating habits start to influence the relationship, if we work through those we can finish up with a lifelong partner but for many unicorn seekers that wart on the nose that started out as a cute horn is just too hard to work with. If you take a horse home be ready to work through issues, they will arise they always do. Sometimes you may question if the effort you need to apply is worth the outcome. I have had a horse retuned the day it left because it was “up” in its new environment after spending 6 weeks in a stable ??? I had a horse come back because the owners 6 year old non riding daughter fell off the ex racehorse while riding on the road ??? I had a horse come back because it developed a mystery head tossing disease whenever the new owner hauled on the reigns ??? 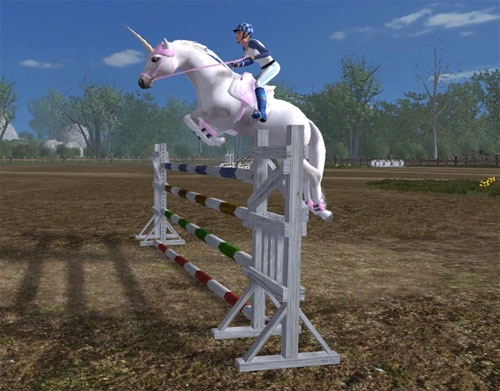 I had a horse retuned because it got excited when asked to jump 1.2 meters high and 2 meters wide, week one with its new learning to jump rider ??? I could go on. All of these horses found happy committed homes. I have seen awesome, rewarding results when people take horses, work through the initial familiarisation period and come out the other end with fantastic partnerships, this is how it works! There are very few winged unicorns, I’m still looking for my first one. This is fine if you are a twice a year rider/passenger. If you turn up at a trail riding establishment climb onto a very quiet horse who is basically following the horse in front you are fine, keep doing what you do if you like it, tell people you ride if you like, it’s unlikely you will be reading this information. If you have any interest in improving your riding experience and improving the life of your horse it is necessary to take on a leadership role. Riding is a partnership between you and your horse, if your roll as boss is not clearly defined you are in a dangerous position. Sitting on a a beast, one generation away from a wild animal up to 1000kgs of nature able to do whatever it likes if it happens to work out that it is in charge. Horses crave leadership and thrive on it. In the wild, most horses will never be leaders, they are happy to be lead by the dominant horses within the herd, usually a dominant mare leading the way and a stallion, driving and keeping the mob together. 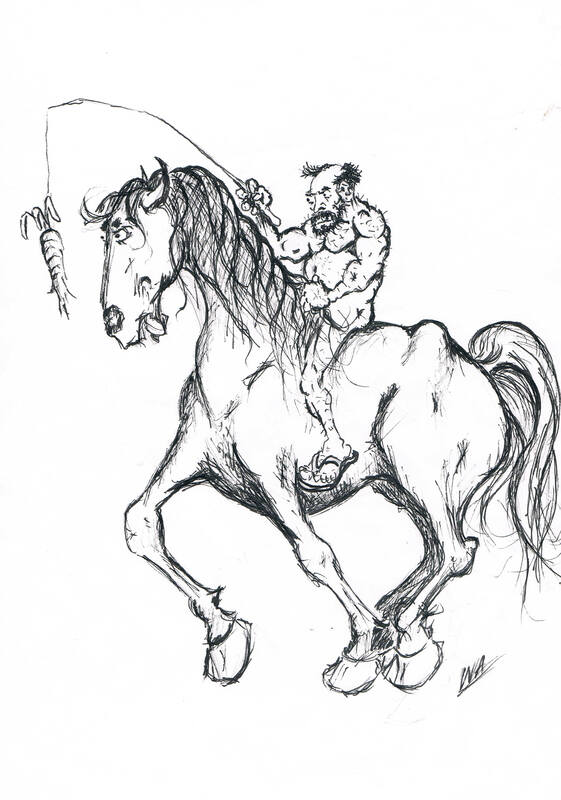 Without competent leadership horses are nervous and unpredictable. Once we have proven to our horses that we are worthy of their respect they will faithfully be led by us, over cross country jumps, through rivers into battle if required. We should cherish the opportunity to be involved with such wonderful accepting creatures. They are, perfectly designed by some freak of nature to be able to carry us with the same beauty that they are able to carry their majestic selves, to dance, jump, gallop, and spin all carrying generally about one quarter of their body weight what magnificent athletes. That have the power and the means to dispose of us at any time, but it is relatively rare that they do.